Sure, sipping peppermint hot cocoa by the crackling fireplace in your fuzzy fleece footies sounds like a surefire way to snuggle up and melt away the stress of finals. But let's face it---a girl needs some sun-kissed mornings and airy chiffon dresses! (NOT the eskimo PVC parkas that resemble the Michelin man and naturally come with an awkward penguin waddle.) A gleeful re-appearance of the arrival of spring permits a collective sigh of relief from the winter's attached melancholic dark hues. With that said, welcome back the rollicking beauts of bouncy botanicals (I dare you to say that three times). There was a kaleidoscope of trends that blossomed on the runways ranging from Prada's gallant spectrum of colors (think Andy Warhol and Roy Lichtenstein) to Salvatore Ferragamo's sharp and minimalist origami-like pleats, perfect for the upscale prepster. Brandishing tour de force trends, these designers have all transpired a blooming admiration of where our love for spring stems from. One of the most compelling abilities fashion design contains is when it can eloquently reflect an empowering reference of ones culture to fuse with ones own culture. This eye-opening experience that can broaden ones horizons is further rendered in Domenico Dolce and Stefano Gabbana’s Spring Ready to Wear collection. The five-part collection in their extensive serial success highlighting Sicily is chockablock with archaeology, religion, and of course, drama. For this spring season, they exhumed a Greco-Roman influence. "It’s a dream of Siciliy." Stefano Gabanna explains. "Like, you go on holiday to Syracuse and you see the Greek theater, then come home and dream about it”. With that in mind, belts adorned with shining gold medallions tracing emperor-heads and ethereal pillar-white dresses with three-dimensional appliques of blush blossoms alongside faux Greco-Roman coins made gladiator appearances. 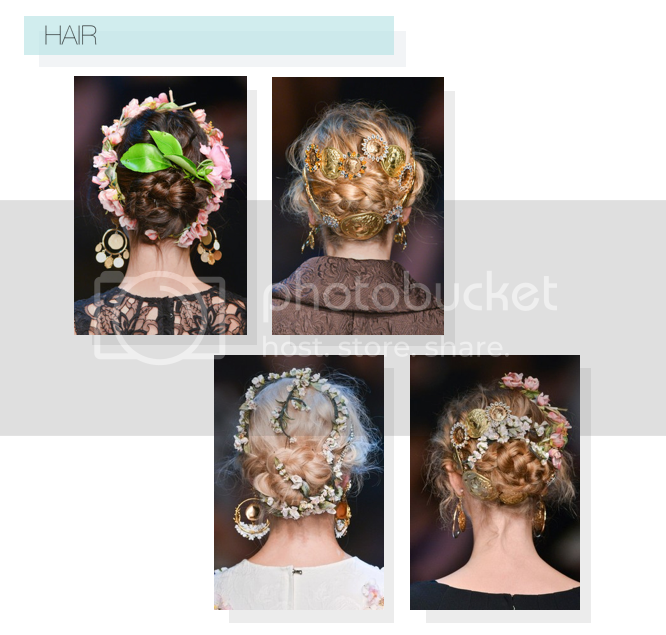 The youthfulness and posh chic feel was emanated through Secret Garden hairstyles featuring fluffy, cotton flowers embedded into twinkling wispy braids and dainty lace kitten-heel slingbacks. FROM RUNWAY TO EVERYDAY: here is one of the much cheaper alternatives I found that is a replicate of one of the looks! Now you can proudly snag a similar look off the runway without breaking the bank! Enjoy! 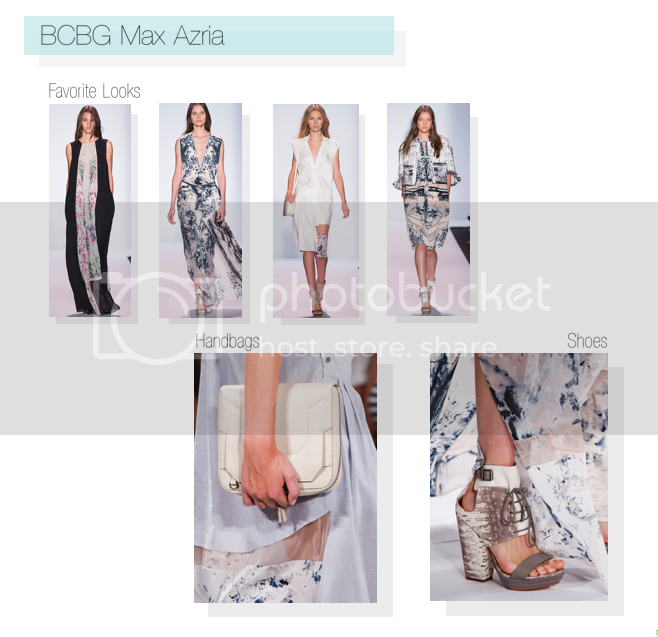 Marking the 25th anniversary of BCBG Max Azria, the infamous power couple, Max and Lubov, aimed to stay true to their sophisticated cool and relevant look. Max’s indefinite aspiration is “to make women feel pretty” whether they are clad in asymmetric patterns with hidden sparks of prints or “disintegrated” flowers. My personal favorites? 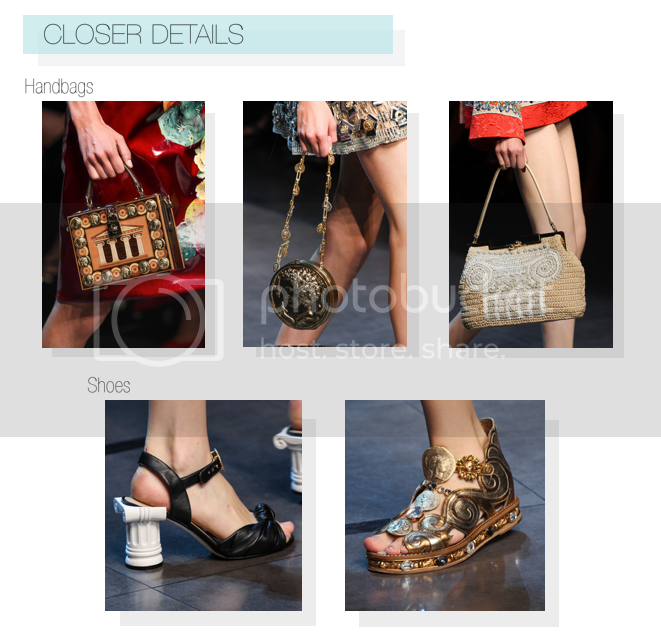 A crisp paper-thin skirt with an illusionary invisible floral print mimicking Jackson Pollock paint-splatters (look#3). Oh, and a gorgeous watercolor dress featuring fusions of midnight blues and azures that flow elegantly---fitting for an erudite gallery opening alongside the crashing shores (look #4). Layering was a shocking and refreshing new component that was featured on the BCBG girl; shirts were the foundation of double-layered garments while peekaboo details made a surprise visit on the tulle paneling of pleated dresses and floral trousers. 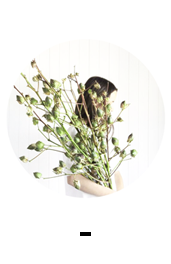 The soft, life-imitates-art feel of the whimsical and incredibly feminine pieces made me spring at the chance of claiming one as my one (even with its overly-priced tag one would similarly find on a Minimalist painting). No wonder why the BCBG girl has been coming back for more than two decades and counting. Maybe it's my senior AP Environmental studies class or my recent replay of Dr. Seuss' The Lorax, but my acknowledgment of our hazardous, wasteful ways has heightened tremendously. Everything seems to be transitioning to a more environmentally-friendly approach for the better. The theory of global warming has flared red warning signs and impacted billions of once-ignorant minds. One in particular is Phillip Lim who beautifully exposed the raw scenery of our world's landscapes merely through the physicality of the runway. Crystalized rock salts blanketed the catwalk. Think post apocalyptic terrain. Lim wasn't the only designer forming the garments' geode formations embroidered in watery hues of azure. Mother Nature, herself, made an earth-shaking performance through the collection's pieces---Suede, boxy tops imitated a sun-scorched earth while white hot dresses with sheer fringes consisted of a rocky layering of blues (reminds me of a depressingly marvelous oil spill--thanks again, BP). The simplicity of the silhouettes allowed for a clean baseline that allowed the intricate, allegorical designs to be the forefront adding to the genius of Lim's work. To streamline his nature-focused collection, geode-studded hiking sandals and monk-strap loafers proved to be as chic as it is relaxed. Even the scribbled, black-and-white satchel proved to be a basic go-to accessory fit for an adventure around the concrete jungle. Embedding essential pieces into an everyday woman's wardrobe while highlighting a crucial widespread awareness in an uberchic way? That comes as second nature to Lim. Which designer do you like the best? Great post nice fashion. Keep in touch doll. Very nice detail post.Love it! Have a nice weekend! Amazing collections, great post dear!!! Wow what an amazingly written and comprehensive post! I love how much effort you put into it. As an ancient history buff, the Greco-Romain inspired D&G collection is just a dream. I don't know about you but I wouldn't mind floating around in flowy, Greek dresses on an everyday basis. The Phillip Lim looks are completely on point- I completely understand all the hype around him now. He has a way of creating modern that are modest yet exude a sensual femininity. I can definitely see myself rocking some of those runway styles on the daily. You said it all so beautifully! Reading this post made me so excited for spring! I'm in love with anything metallic and pop art has always been a favorite genre of mine. It's amazing how much fashion ties into culture and our self-understanding and awareness. Looking forward to seeing more of your posts! I agree completely! Metallic and pop art somehow evoke this futuristic feel that I love yet it takes me back to the past with the tacky metallic dresses and Andy Warhol paintings. It's really impressive to me that you are able to spot outfits that are "mimics" of the others, but for a cheaper price. I myself am not able to do that. My favorite outfit by far is the one with all the coins on it. I wish we could have seen you with some of these outfits on! Haha. Just kidding. Have a great day! Also, you sound like a stranger with the "Have a great day!" & if you read below, I reply to all my comments! Obsessed with the Phillip Lim collection (as i am every season!). 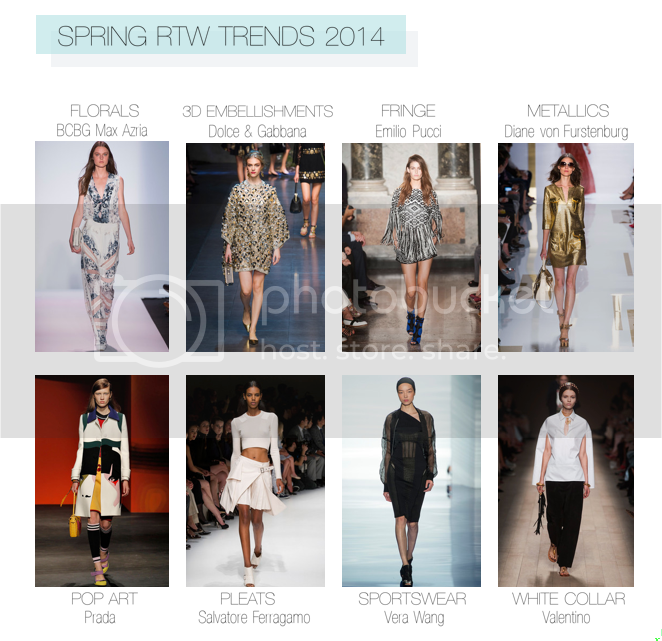 This is an awesome trend report - so into the metallics & the fringe! una coleccion fantastica! me encanta!